Launceston is Tasmania’s second largest city and third oldest Australian city. 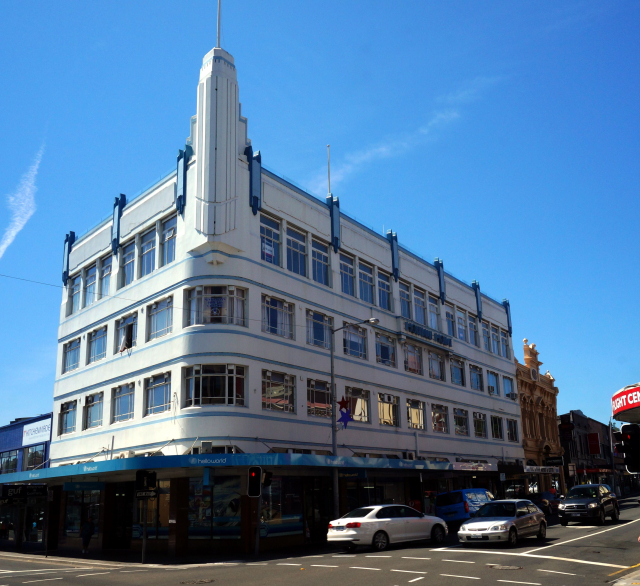 Its architecture is dominantly Georgian and Victorian – this Streamline Moderne is a bit of an anomaly. The Brutalist architecture of the mid to late 20th century is absent. There are about 87,000 residents. The city prides itself on culinary arts in addition to its wines.